If it hasn’t happened to you, you probably know someone who has had that sinking feeling when they turn on their computer and get ‘BOOT DISK FAILURE‘. Not only is the computer unusable, all the data is likely gone. We’re storing more and more valuable and often irreplaceable information on our computers, yet we rarely back that data up. Can you bear the thought of losing all those digital pictures, movies, songs, and other digital data you’ve collected over the years? Thankfully, backing up your data can be done easily and for very little money. For as little as $5/month, you can backup all of your precious data securely on remote servers. Have a disk failure or inadvertently delete a file? Just login to your backup account and download the file from your online backup. If you need all of your data ASAP, you can get it sent to you via DVDs for an added fee. Data recovery companies often charge thousands of dollars to recover data from a failed hard drive, making the small monthly cost of online backups well worth it. 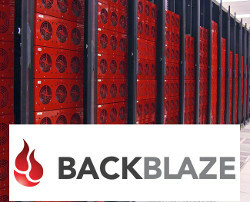 We can setup your online backups for a one time fee of $35 plus the monthly service charge, or if you feel comfortable setting it up yourself, you can download the client from our recommended provider, Backblaze. If you have accidentally deleted data or lost it due to a hardware/media failure and don’t have a backup, we also offer data recovery services at very competitive prices. Contact us for more information.